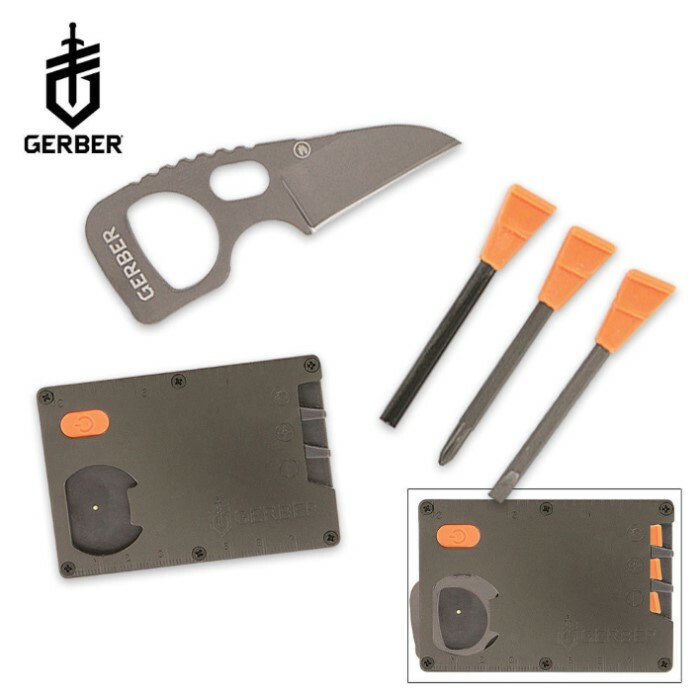 Gerber Bear Grylls Card Tool | BUDK.com - Knives & Swords At The Lowest Prices! Dimensions: 3 2/5" x 2 3/10" x 3/10"
The Bear Grylls survival card from Gerber is a must have tool! This compact card houses a 1 1/2" survival knife, Phillips and flat head screwdrivers, Ferrocerium fire striker rod, metric ruler, standard ruler, LED flashlight and bottle opener. Includes a copy of Bear's "Priorities of Survival Pocket Guide."